This self-hydrating system nurtures a trio of tea plants. Click here for Planting Instructions & Care. Start by sprouting seeds indoors. Then transplant the seedlings and biodegradable coco pot outside into your garden or patio container. 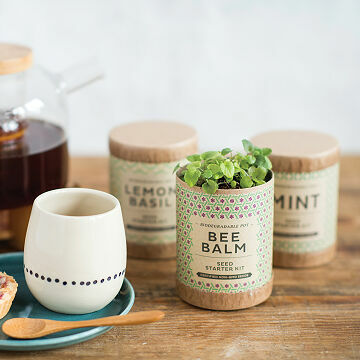 Kit includes bee balm, mint, and lemon basil seeds. Gave to mom for mothers day. She loved it!